RJV 's Blog: Game 5 - huh? Protocols are good to enforce and profess but only when a correct disposition towards convention and accepted compliance to what is correct in the given context is also considered as a given. 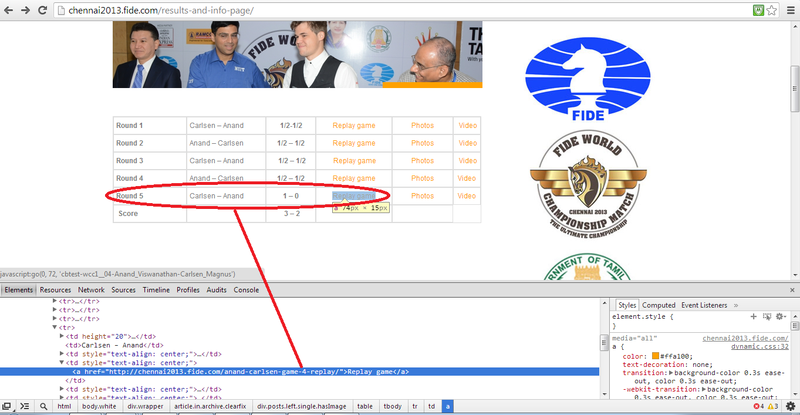 The FIDE website on the FWCM 2013 has the link to the Game 5 Replay still pointing to game 4 !! 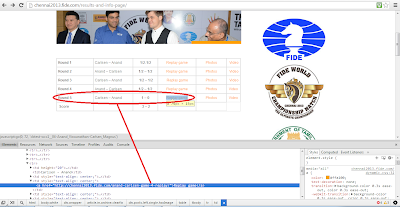 If a website is about a World Championship event, it is normal convention to be reflecting up-to-date information to reflect commitment to quality and maintain integrity.